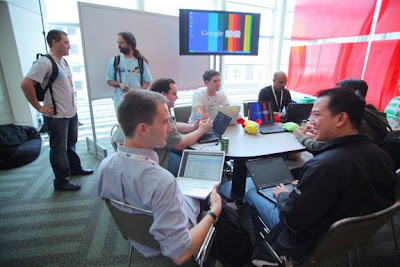 Day 1 of Google I/O was an action-packed endeavor, shared with an excited community of developers on the ground learning about developing web applications with Google and open technologies, and showcasing some of their best apps. Google Web Elements is launched: Adding Google products to your website or blog has never been easier. 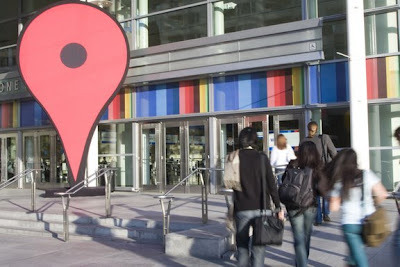 In case attendees had trouble finding Moscone West, they were directed to look for the life-sized Google Maps pin placed right in front of the entrance. 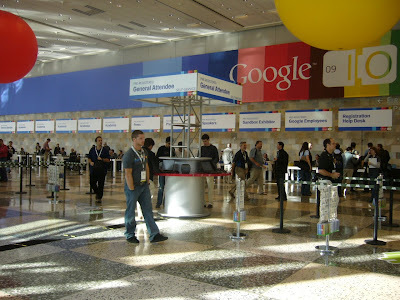 I/O 2009 had higher attendance, but registration went much more smoothly this year. An attendee checks out the I/O agenda board. 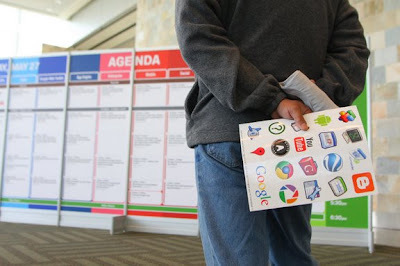 Product stickers were distributed to attendees to stick on their conferences badges to identify fellow attendees with similar product interests. 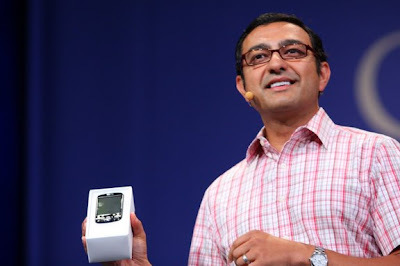 Vic Gundotra takes the stage to talk about "a more powerful web, made easier." 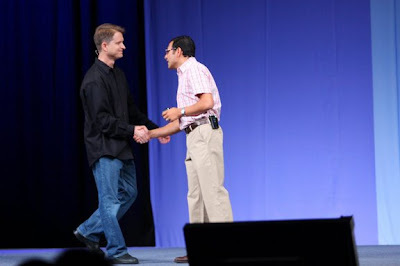 Vic welcomes Jay Sullivan, VP of Mozilla, while also thanking Mozilla and the larger developer community for tireless efforts towards new web standards. Jay gave a glimpse of Firefox 3.5 features. 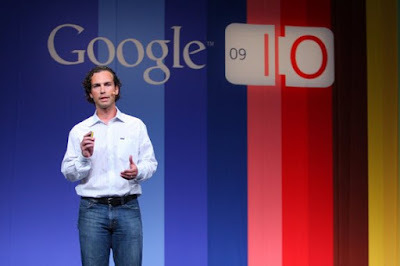 Michael Abbott, SVP of Palm, talks about why the web is the platform and Palm webOS. 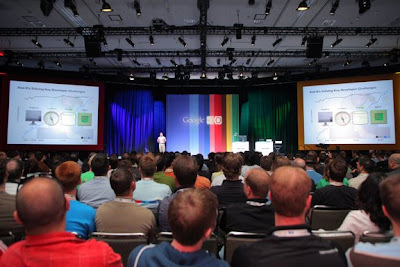 We gave all Google I/O attendees a limited edition Android-powered device in order to encourage and facilitate further application development on the Android platform, and provided a preview of Donut features. 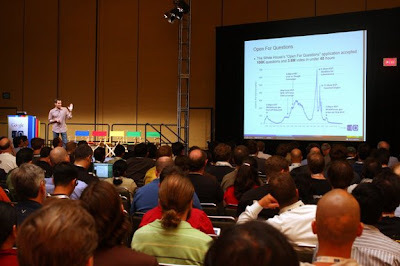 Office Hours are a new addition to I/O, where attendees can drop in and bring questions for Google engineers. View Office Hours schedule. Alon Levi speaks on his App Engine session, From Spark Plug to Drive Train: Life of an App Engine Request. 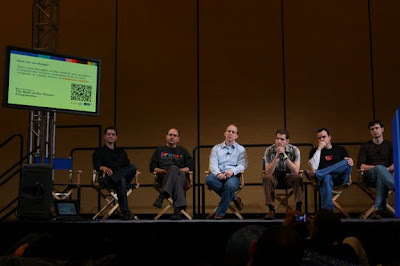 At the Google Web Toolkit Fireside Chat - members of the GWT team listen to audience question. 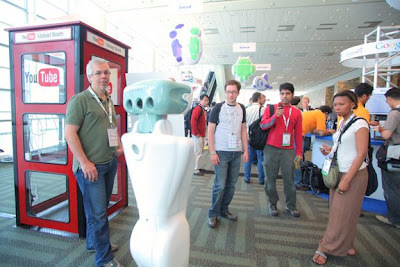 Anybot struck up conversation and hung out with developers. View of the Developer Sandbox from the escalator. 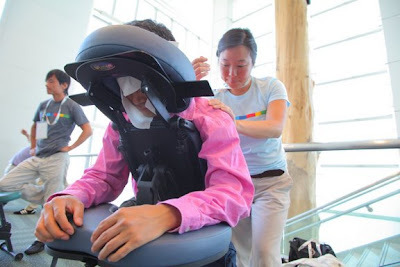 Enjoying a complimentary chair massage. 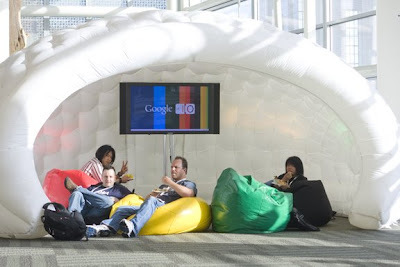 Developers crashed on bean bags, taking a break to check email and get some work done. 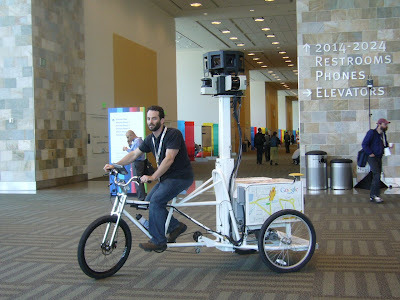 The Street View trike roamed the halls. 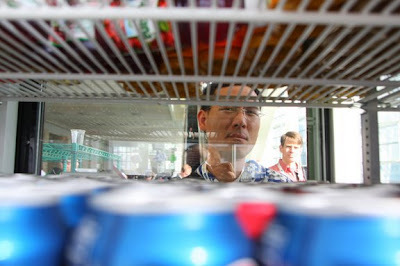 A developer pondering what to grab from the drink coolers, available throughout Level 2 for attendees to quench their thirst. 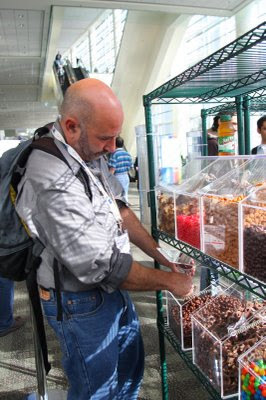 Developers enjoyed bins of chocolate covered raisins, M&Ms, pretzels, trail mix, and other goodies throughout the day. 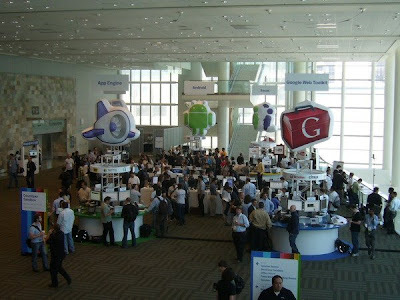 To follow the latest at Google I/O, check out twitter and twazzup. Stay tuned for Day 2! 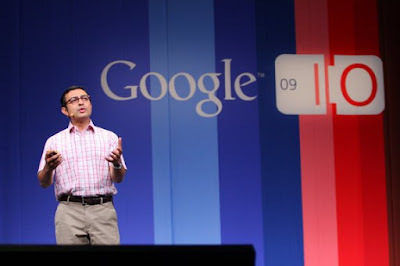 I would love Google I/O happening here in INDIA, where it all happened /happens/ happening! 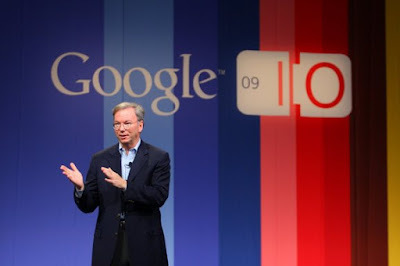 India Loves Software :: India Loves Google !